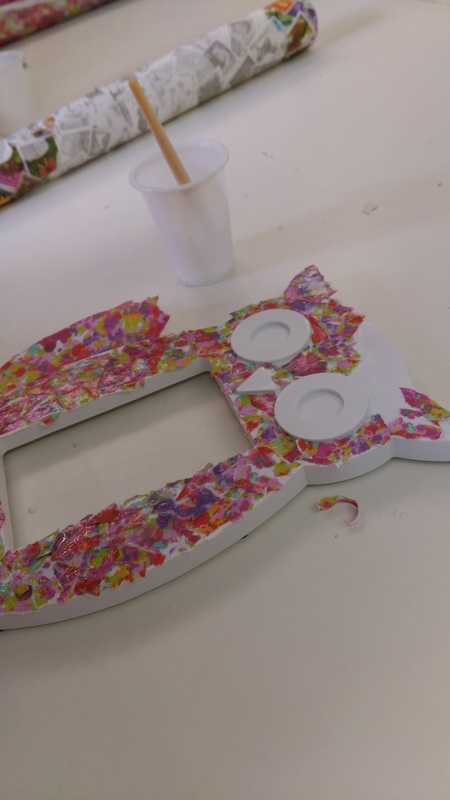 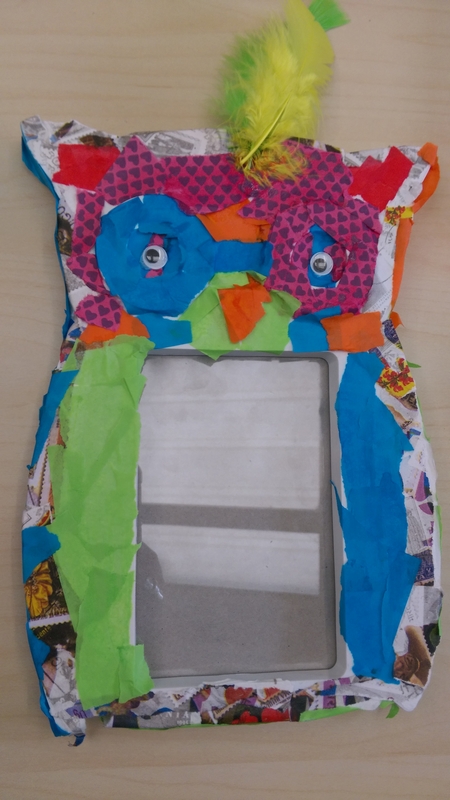 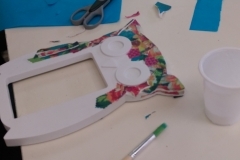 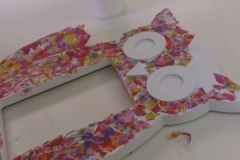 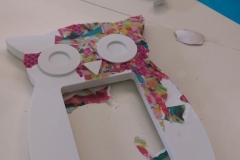 The Crafty Lass does… Children’s ‘Owl’ Decoupage Workshop! 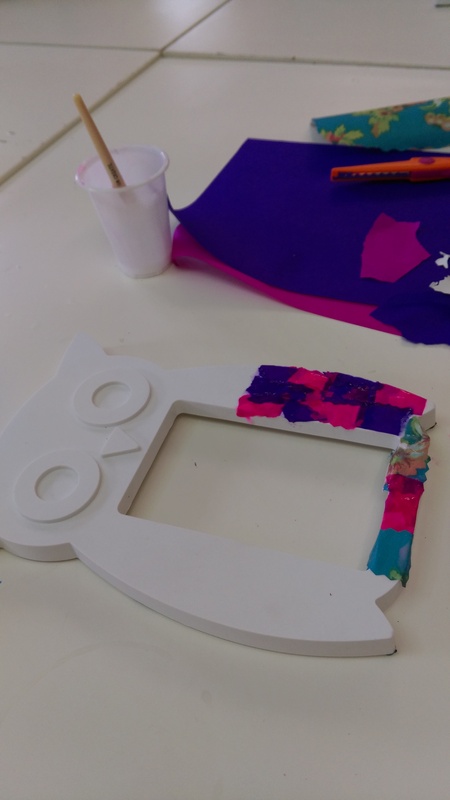 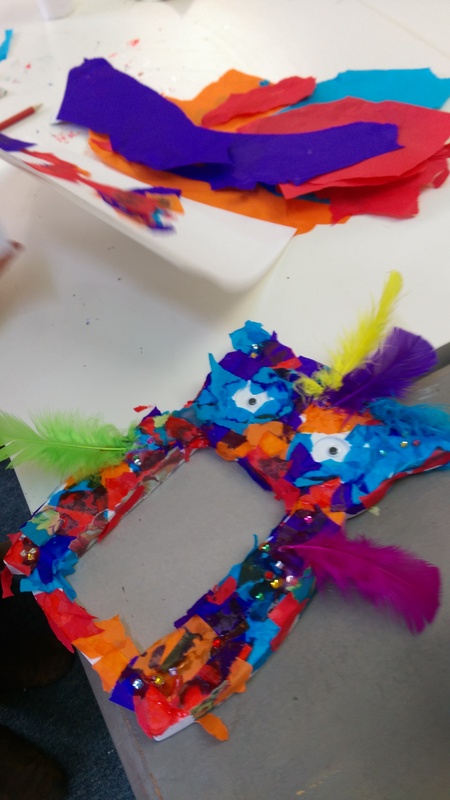 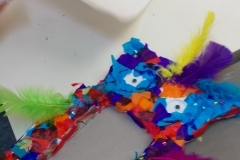 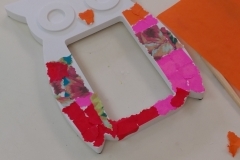 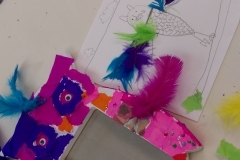 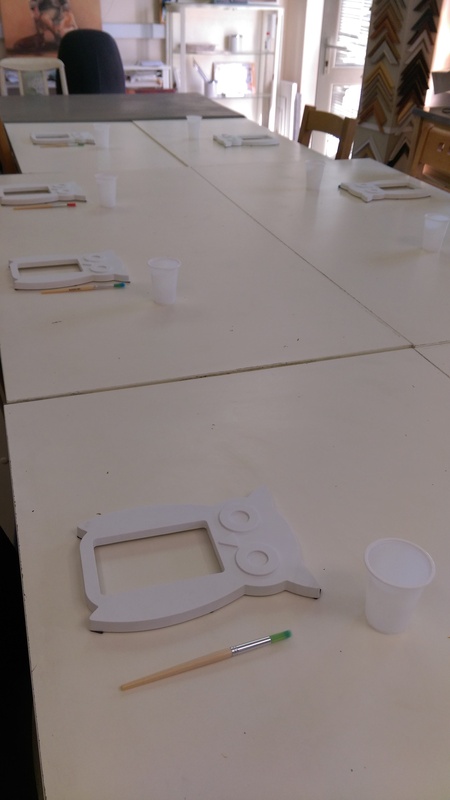 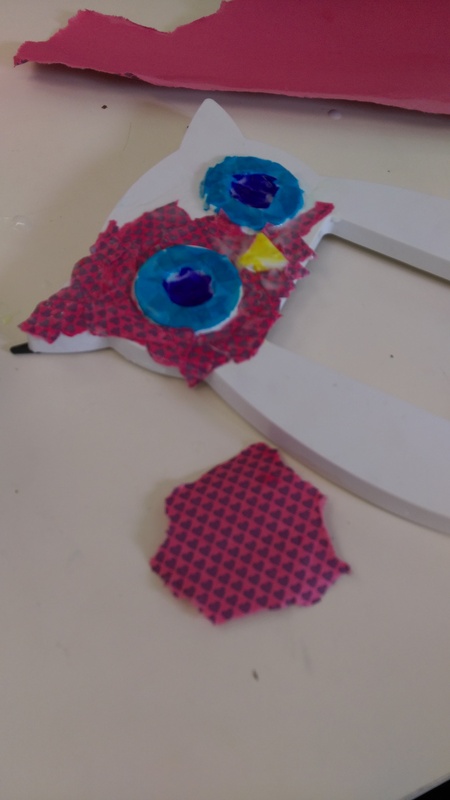 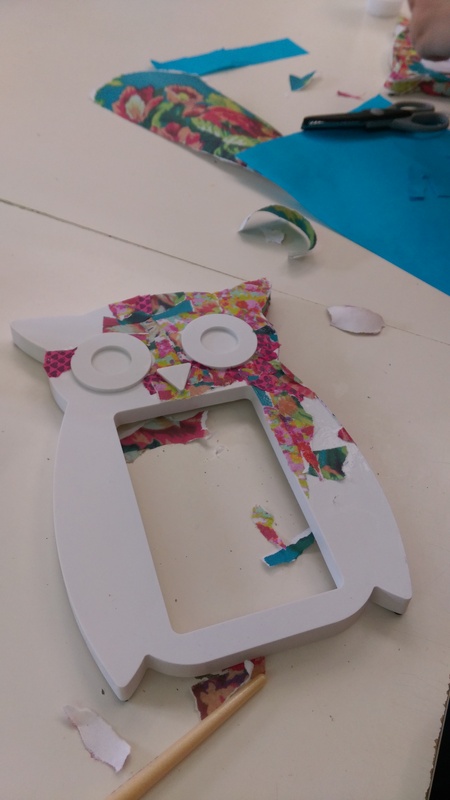 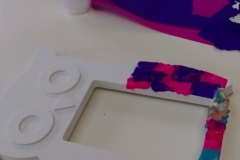 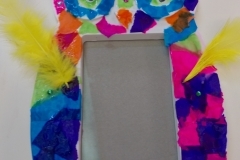 We had lots of lovely brightly coloured paper, feathers, little shiny gems, googly eyes, plenty of pva glue – and some cute owl photo frames to decorate. 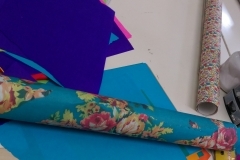 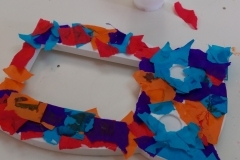 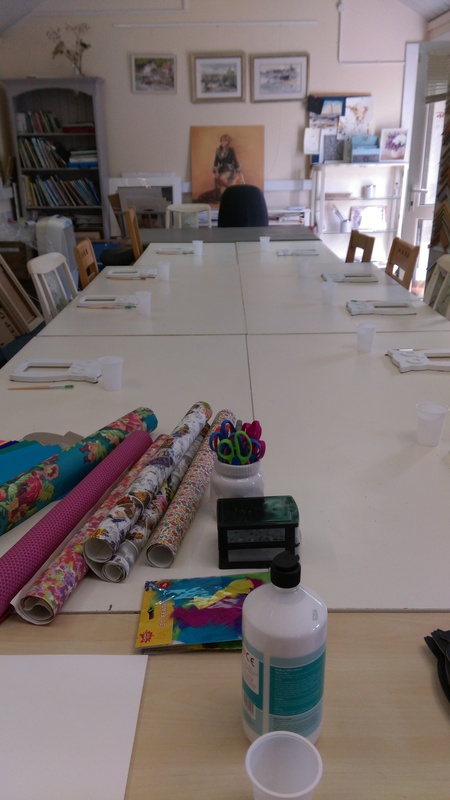 Held at Elaine Marston’s Studio at Turweston, Brackley – across a two hour workshop we spent the time choosing colours, tearing up the paper, and sticking on to our hearts content! 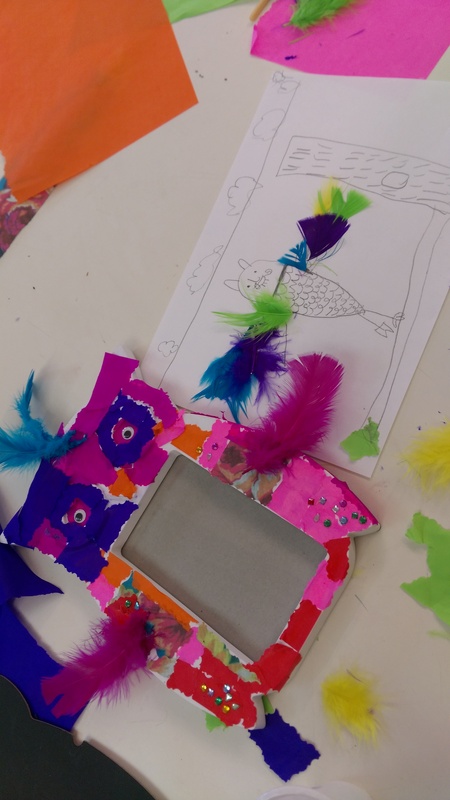 As you will be able to see from the photos every one was different – some with pinks, some with blue, some patterned, some without feathers, some with LOTS! 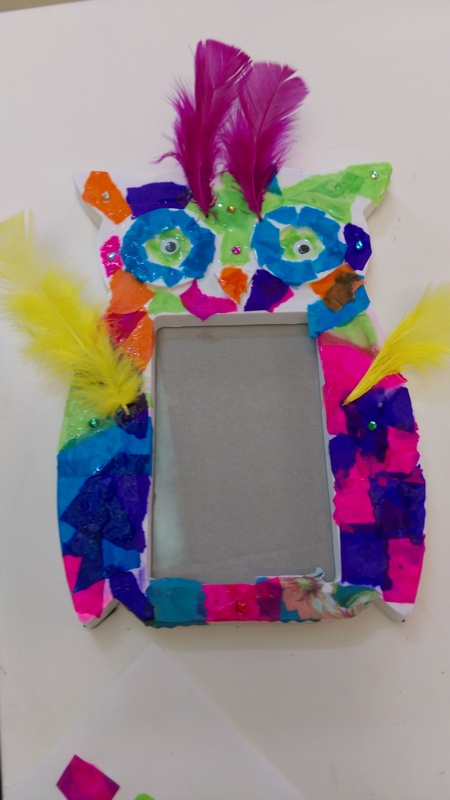 After the owls were complete, as we had a little bit of extra time – we moved on to creating some lovely drawings and collages to go into the frames. 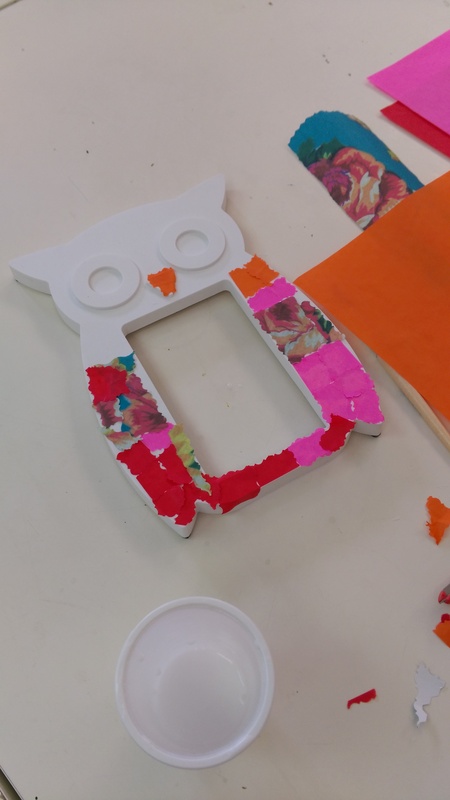 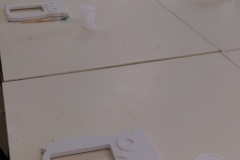 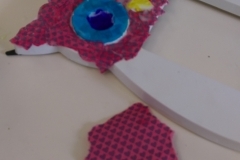 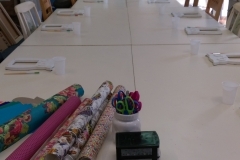 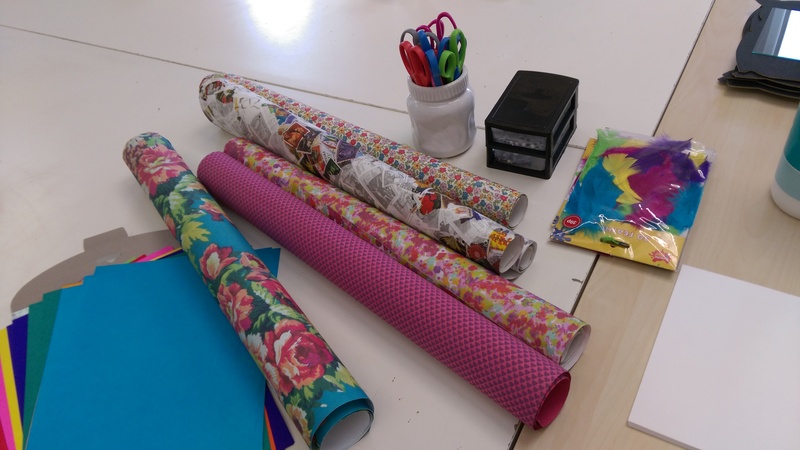 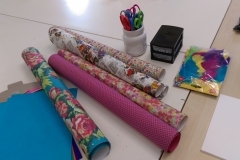 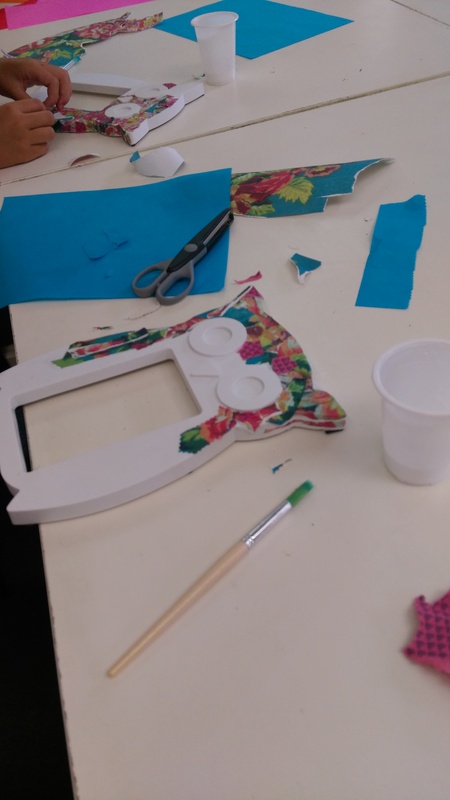 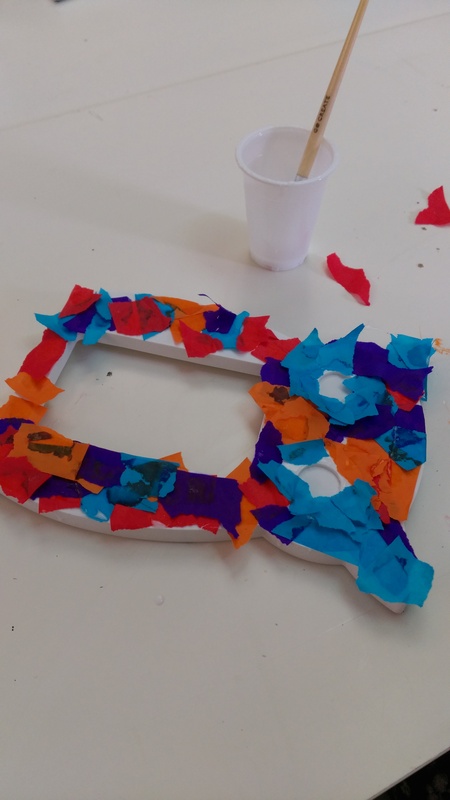 Everyone seemed to have a fun and creative time and with a few little bits of feedback direct from the attendees of ‘Let’s do this every week!’, ‘Can we do decoupage again? 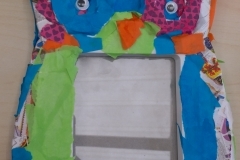 !’ and ‘I’ve really enjoyed myself’ – I personally am of course, pleased as punch! 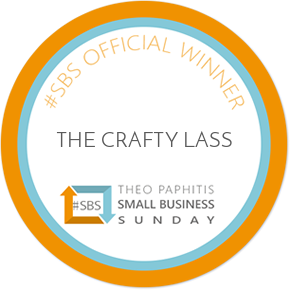 From starting out on this creative journey of becoming ‘The Crafty Lass’ as a business – today, the moment a parent walked back in to collect their children – to be met with a ‘Mummy! 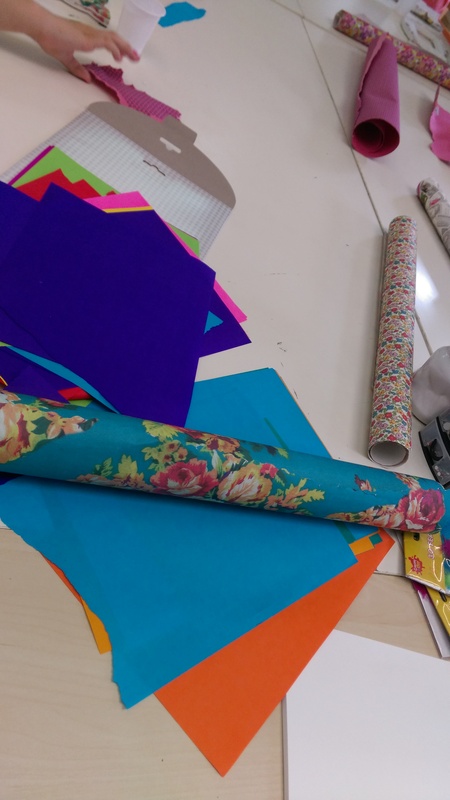 Look what I have made!’ moment – it was very special, and one that I am certain, I will never become tired of.